Transfer to Best Western Hotel for two nights. 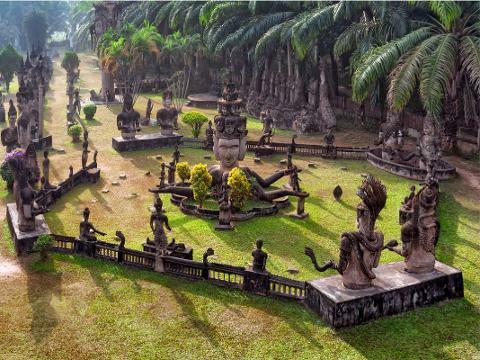 Visit Wat Xieng Khuan (Buddha Park) which has a collection of whimsical but compelling statues of Buddhist and Hindu gods and That Luang, a gleaming golden stupa which is perhaps the most important national monument of Laos. 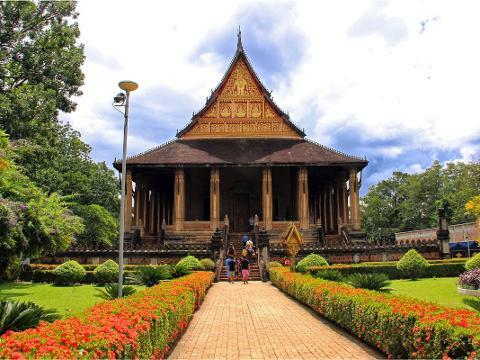 Visit Ho Pha Keo, the former royal temple and Wat Si Muang and Patuxai, a monumental arch inspired by the Arc de Triomphe. 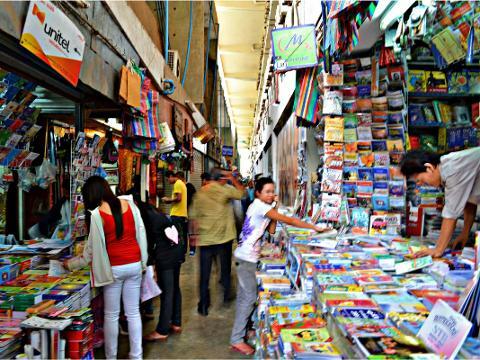 Stop at Talat Sao, the all day ‘morning market’ and the best place to buy traditional Lao fabrics. Fly to Luang Prabang for three nights at the Le Sen Boutique Hotel. This afternoon, climb Phousi Hill for a breathtaking view of the city and surrounding countryside. 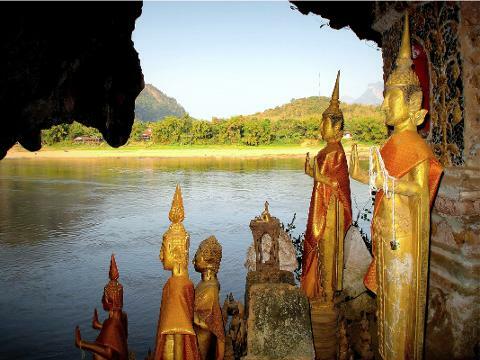 Visit Wat Visoun considered the oldest operating temple in Luang Prabang. Visit Wat Aham and Wat Xieng Thong, the crowning jewel of all the monasteries. Travel to the Tham Pak Ou Caves. 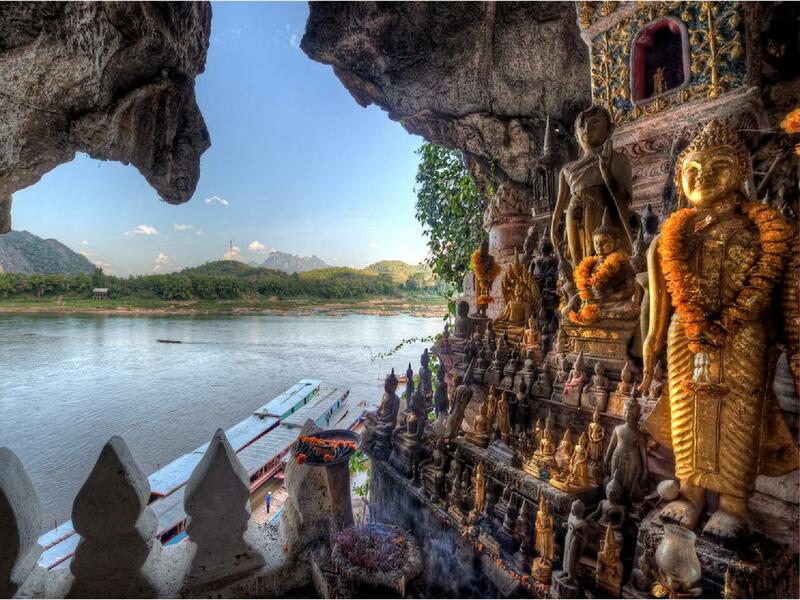 These caves are filled with Buddha images in every style and material imaginable. 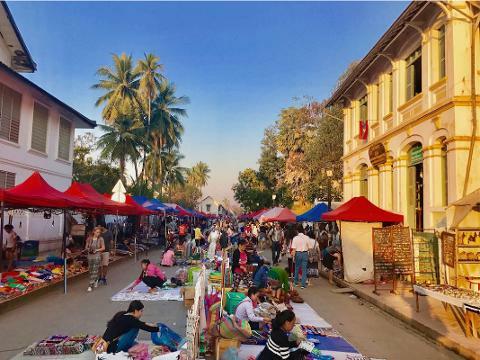 Stop at Ban Xang Hai village, famous for the producing ‘lao lao’, the local rice wine whiskey, then to Kuang Si waterfall and along the way visit the minority village of Ban Muang Khai. Continue to Ban The Pene, a nearby Khmu village.